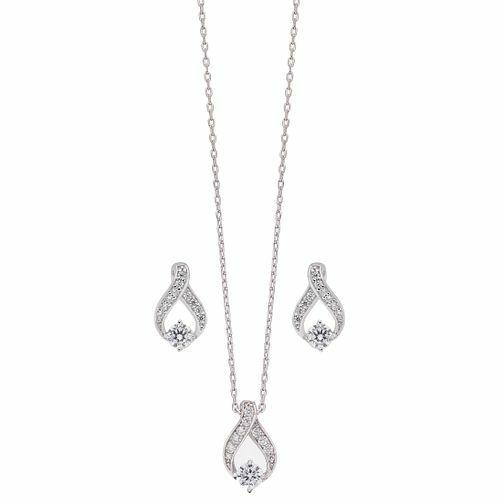 An elegant sterling silver jewellery set featuring a cubic zirconia embellished pendant with a claw set cubic zirconia stone in the centre,suspended on a fine chain. Also includes matching stud earrings to complete the sparkling look. Elegant gifts for your loved one. Sterling silver cubic zirconia earring and pendant set is rated 5.0 out of 5 by 1.